HI Travel Tales has won three national travel journalism awards from the North American Travel Journalists Association. Michael Hodgson and Therese Iknoian, who run the travel blog HITravelTales.com, were each recognized for an illustrated story in an online publication. Our website was also called out as one of the six top independent travel blogs of the year, earning one of three honorable mentions. The 2018 travel writing and photography awards were announced Jan. 17 and include winning entries from major publications such as the New York Times, National Geographic Traveler and AAA online. Awards were made to print publications, travel journalists and photographers, as well as top destination marketing associations, in areas such as culinary travel, destination travel, personality profiles and travel podcasts. Works considered were published between September 2017 and August 2018. 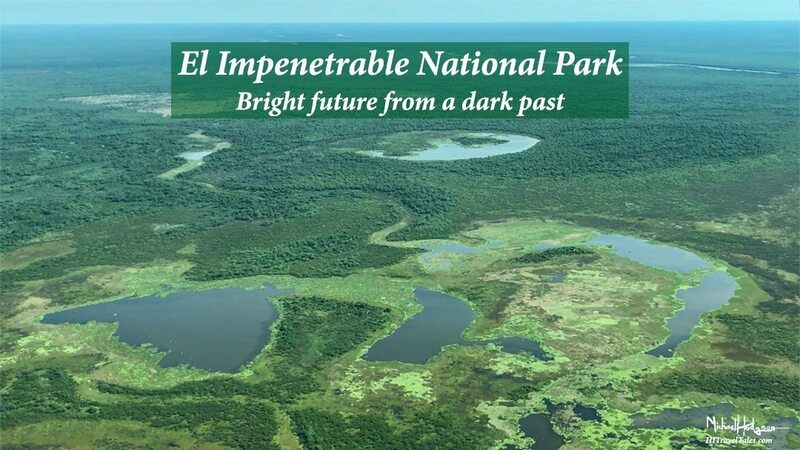 Michael won a silver in the “Illustrated Story – Online Publication” category for his piece, “El Impenetrable National Park – A bright future from a dark past.” The story details his visit to the remote and incredibly wild El Impenetrable National Park, Argentina’s newest national park. 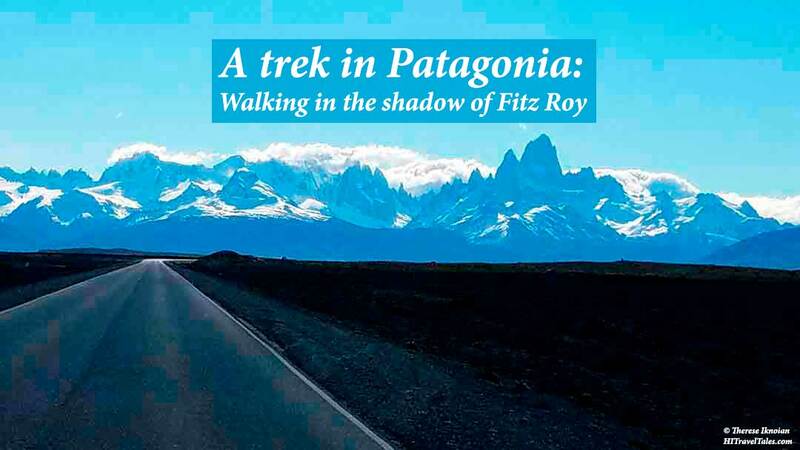 Therese was awarded an honorable mention in the same category for her story, “A trek in Patagonia: Walking in the shadow of Fitz Roy,” about her impressions from a pack trip in October 2017 to Argentina’s spectacular Patagonia area. The online publication category is a popular one, described as a travel article with both text and photography by the same person. Our blog, HITravelTales.com, also gained overall kudos, earning an honorable mention recognition as one of the best independent travel blogs in 2018 – one of only six blogs so recognized. This category includes blogs that focus on “presenting opinion and commentary and/or travel information and advice,” running “substantial new material,” and are not affiliated or owned by any major publication or corporate entity. In the nearly four years of operating HI Travel Tales, we have have traveled to, photographed, and written about the likes of Norway, Antarctica, Germany, Argentina, and Qatar. We have also been to all seven continents and 44 countries. 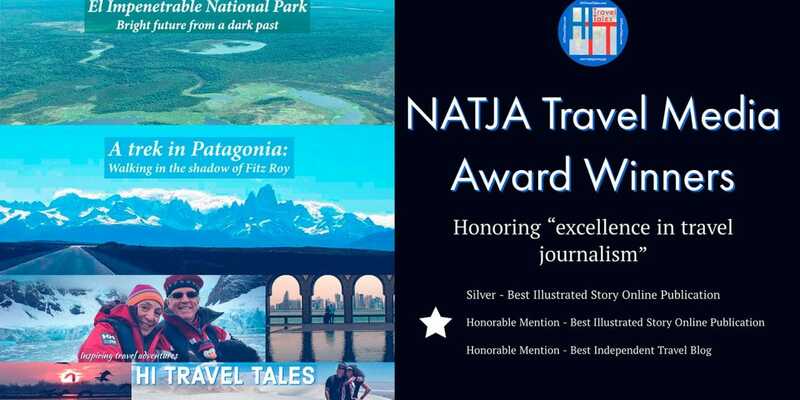 Founded in 1991, the North American Travel Journalists Association (NATJA) is an industry leader in travel journalism that fosters high-quality journalism by supporting professional development and honoring excellence in journalism globally. See the entire NATJA list of winners in the travel journalism awards here. 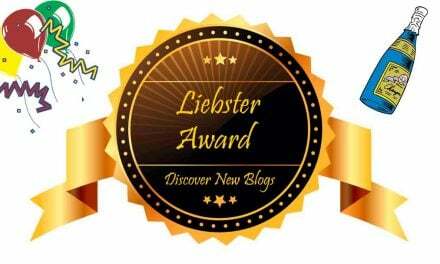 We were just nominated for a Liebster Award!